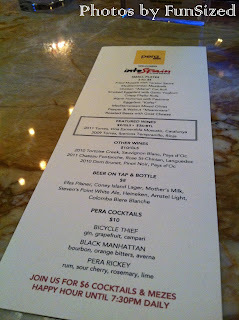 On Wednesday, October 24, 2012, I attended the "Into Spain" Event at Pera Soho. 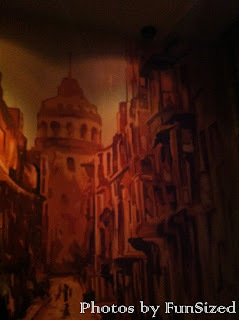 This was my first time going to Pera Soho and I was stunned by its ambiance and exclusiveness. Pera is located at the corner of Broome and Thompson Streets. As I was walking there, heading west on Broome Street, it was a bit of a puzzle to find the entrance. When I almost approached the corner, you get a bit of a tease of what you are about to see since there is a small peephole into the restaurant until you are blocked by what is a large cement wall that wraps around the corner. Finally the opening appeared on Thompson Street! I was astonished by what I saw next...That cement wall was blocking what is a gorgeous and secluded outdoor seating area with large red umbrellas, wooden furniture as well as private seating areas. I wish I would have known about this restaurant during the summer! Into Spain is a company that networks people together who are interested in the culture of Spain. They decided to have one of their events at Pera Soho, which is why I went there. 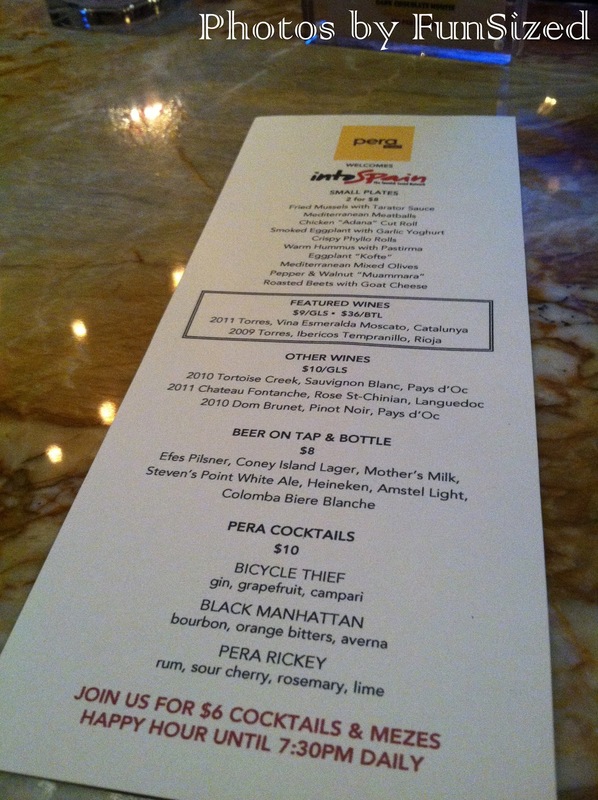 Pera Soho provided guests with a special menu for the event which was held from 6-11pm with a happy hour until 7:30pm which was supposed to include complimentary tapas. 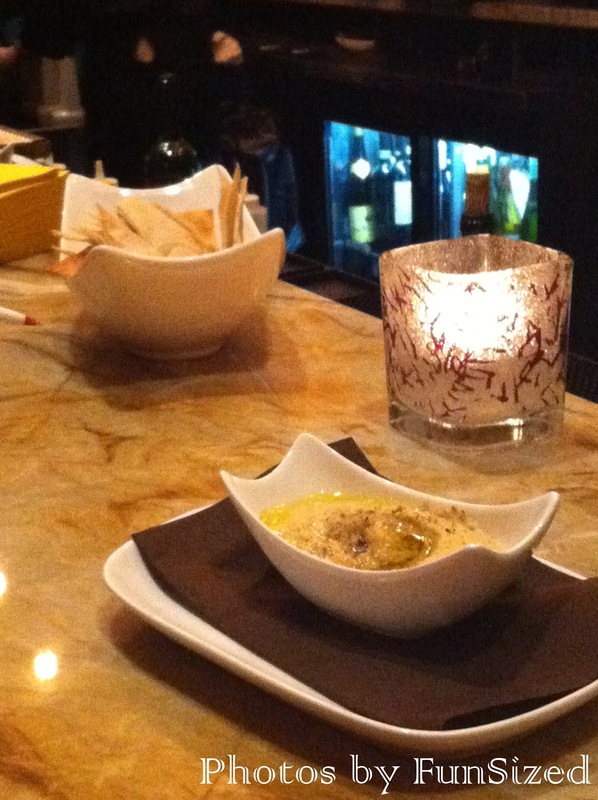 At first, only chips were provided at the bar and later hummus and pita chips were brought out. 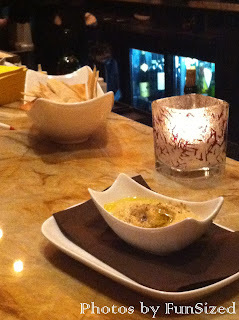 In my opinion, those options do not fall under the categories of tapas and to top it off, everyone at the bar was sharing the hummus dishes. I personally would not like to share dippings with the rest of Manhattan. The event was also to recognize Torres wines which I unfortunately cannot comment on because I did not drink at this event. Overall, I enjoyed attending the event; I liked the venue and the people watching was satisfactory. If the goal of the event was to bring Spanish people together to discuss their culture, I do not think they succeded. 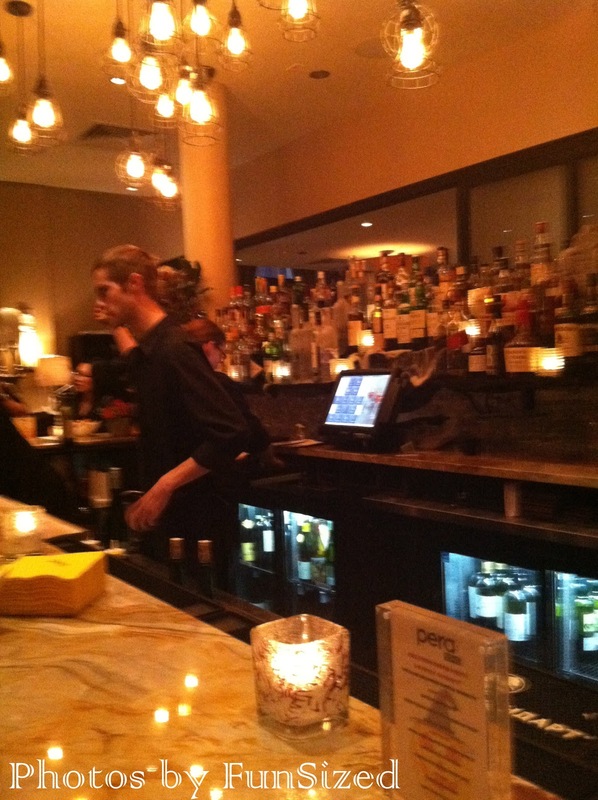 However, it did bring people into Pera in hopes of future business. Will I go there to eat in the future? Not necessarily...it is a bit out of my price range, however if I was looking for a night to splurge, this would be a restaurant I would consider. I liked the vibe, the ambiance, and the Meditteranean feel. It was not as fun, flirty and carefree of an event as I would have liked but it was a nice evening out after a long day's work. 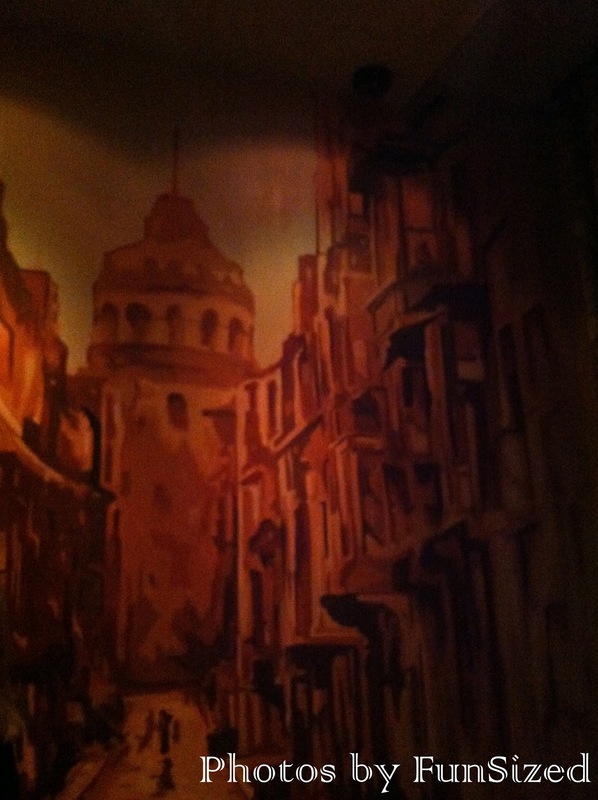 Follow Pera Soho on Twitter for future events and special menus.